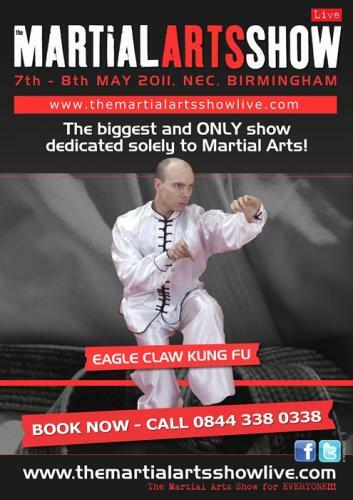 SiFu Julian Dale and the Eagle Claw Kung Fu School will be demonstrating at The Martial Arts Show Live(TMAS) NEC Birmingham UK May 7th & 8th 2011. The Martial Arts Show Live is quickly becoming Europes largest Martial Arts Expo and trade show. SiFu Julian Dale is also presenting and showcasing as one of the key speakers at TMAS. TMAS caters for all martial arts disciplines and hosts unique feature area’s decicated to specific discpline within Martial Arts.